Where do they come from, how are they called and what are their characteristics? "- A House in the Wind -"
Our first year in Crete we lived on the top floor of a house that was played upon by all the winds. In winter there were the hard northern gales, when the sea turned grey, more like the North Atlantic than the Aegean, and the bitter chill came in through the cracks under the doors; and on the coldest days in the unheated room with the stone floor there was nothing to do but put on all your clothes at once -long underwear, sweaters and jackets and scarves- and then go to bed and pile on the blankets. Came spring, and Africa had its voice in our affairs: 'the Big Tongue' as the old women of Crete call the hot, dust-laden sorokos that comes howling up from Libya. We would see it coming through the gap in the mountains to the south -a distant finger of haze drifting into the still blue gulf of Merabello. Innocent it looked, but the fishermen knew it for the devil it was, and when they saw it coming they made for port at once. It arrived all in a rush, churning the sea to angry foam, blowing the salt spray right up on to our terrace, raising little tornadoes of dust all over town. The first day of a sorokos was bad enough; the second was even worse; and by the third you were ready to commit murder or suicide. The air became clogged with yellow dust, you felt restless and often had a headache, couldn't work, couldn't read, couldn't do anything. Tempers wore thin, quarrels flared, domestic peace was threatened. There are archaeologists who say that a south wind was blowing when Knossos burned about 1400 B.C; and to anyone who has lived in Crete there is nothing surprising about this, for it is easy to believe that all bad things happen during the southerly storms. But the essence of the Cretan climate is the imminence of sudden change; and so the south wind would leave as quickly as it had come. and then for a few days peace and calm seas and blue skies were ours. But never for long -always another wind would come, and some of them, like the cool meltemia breezes that blew steadily from the northwest for forty days in summer, were most welcome." First page of Winds of Crete, by David MacNeil Doren, 1974. Let's look to the backgrounds of the Cretan winds. Where do they come from, how are they called and what are their characteristics? Aeolus was king of the Aeolian Islands, and was appointed by Zeus to be the Ruler of the Winds, both to calm them and to arouse them. Having entertained Odysseus, who had come to him during his wanderings, Aeolus gave him a bag in which he had bound fast the winds. But when Odysseus' fleet, having left the Aeolian Islands was near Ithaca, his comrades, thinking that Odysseus carried gold in the bag, loosed it and let the winds go free, and they were driven back again to Aeolus's floating kingdom. But this time the Ruler of the Winds refused to granted them a fair breeze, driving them from the island. 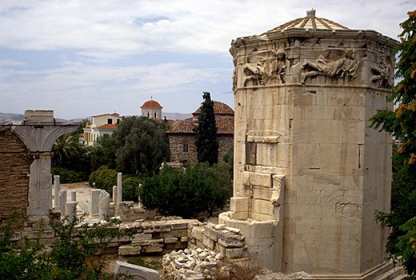 In Athens one can find THE CLOCK OF ANDRONIKOS KYRRESTOS or Tower of Winds. It is located outside the western entrance to the Roman Market. It was constructed in the 1st century BC by the astronomer Andronikos from Kyrrhos in Macedonia and is shaped like an octagonal tower. It served as a form of meteorological station since it combined a sundial and water clock and also had a weathervane to show the direction of the wind. Each face is adorned with a relief representing the wind blowing from that direction, hence its nickname in Greek "aerides" meaning "the winds". The following winds can be distinguished in Crete. 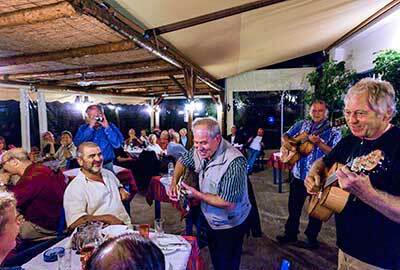 Looking at the many names it points out that winds play a significant role in daily Cretan life! Boreas is the Greek god of the North Wind who lived in Thrace. He is depicted as being winged, extremely strong, bearded and normally clad in a short pleated tunic. He is the son of Eos and Astraeus, and the brother of Zephyrus, Eurus and Notus. Boreas has two sons, two daughters and twelve mares which can race over the ground without destroying the grain. When the Persian navy of Xerxes threatened the city of Athens, the Athenians begged his assistance. The Great Wind of the Wintery North blew his anger at the Persians and 400 Persian ships sank immediately. Among other violent acts he abducted Oreithyia, the daughter of the king of Athens, when she was playing on the banks of the Ilissus. In Latin, he is called Aquilo. The Vorias (northerly wind) is very fierce and may last many days on end. Locals say the Vorias in its most fierce of days whistles furiously day and night, tormenting the shepherds on the uplands and the farmers in the fields and ruining the gardens in the villages. Vorias also leaves a most noticeable mark on the trees of the villages, all of which grow slanting away from the wind. Vorias is called Meltemi in summer. Vorias means The North, Anatoliko means The East. 'Gregorio' is Italian for Wind. Anatolia may be defined in geographic terms as the area bounded to the north by the Black Sea, to the east and south by the Southeastern Taurus Mountains and the Mediterranean Sea, and to the west by the Aegean Sea and Sea of Marmara; culturally the area also includes the islands of the eastern Aegean Sea. Ageliotes means Eastern. Associated with beautiful weather in Crete. Eurus (Evros) was the child of Eos and Astraeus. 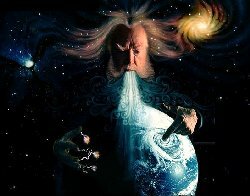 Eurus is the Greek god of the East Wind, and his siblings, the other winds. The Greeks were not sure whether the winds were male or female, but they knew that they had wings. Eurus was the wind who brought warmth and rain from the east. A symbol showing this was a vase inverted, pouring out rain. Eurus was the unfavorable one. His Roman equivalent is Vulturnus. Southeasterly winds commonly occur during the April to October period, but are more frequent during April/May and September/October. Strong episodes occur 3 to 4 times per year and last 1 to 2 days. The winds can be caused by different synoptic situations: low pressure areas south or north from Crete. North African lows develop over the desert region south of the Atlas Mountains. The associated Sirocco conditions will spread progressively eastward along the northeast African coast. Sirocco conditions vary by season, with the most bothersome effects occurring during spring. Wintertime Sirocco conditions include relatively warm temperatures and stable conditions (low stratus, fog, and drizzle with reduced visibility) in the lower levels of the atmosphere. 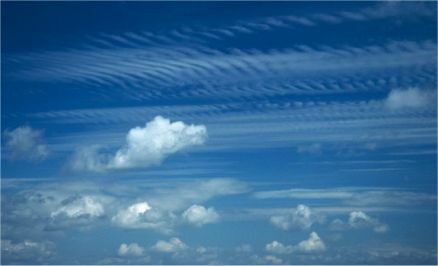 An indicator of southeasterly winds is an east-west line of altostratus clouds parallel to the coasts west of Cape Drapanon, near Kokkino Horio and Kalives, and the city of Rethimnon. This indicator is considered to be very reliable and is highly regarded by local fishermen. Increasing southeasterly winds at Souda Bay are an indication that a North African cyclone is moving toward Crete. Notus (Notos) is the god of the South Wind, which is a very warm and moist wind. He is the son of Eos and Astraeus. The Romans called him Auster. 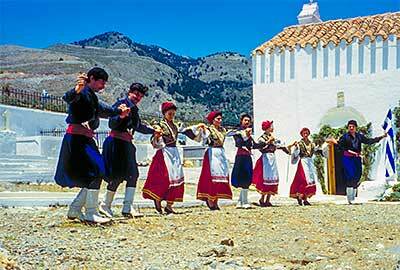 Hot southern winds are called 'Kadhafi Wind' by some locals in Chora Sfakion. Everybody stays inside, since the normal temperature can already be near 40° C and the wind is even warmer, feeling like a hair dryer on your body. Gale force winds are likely along the south coast of Crete during an Etesian (see below). Orographic wave clouds along the mountains of Crete are an indication of strong winds to the south. 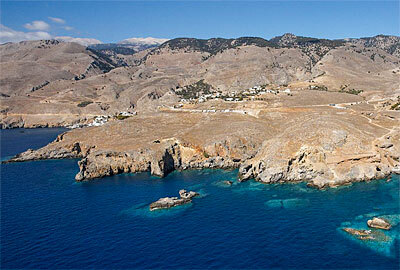 Cold fronts that move southward through the Aegean Sea usually stall on reaching the latitude of Crete. On the north side of the island, winds are northerly and weather poor with low clouds and drizzle. On the south side of the island, however, winds are southerly with clear skies and warm temperatures. The occurrence of the stationary front along the mountains of Crete can persist up to a week. 'Ditikos' means West in Greek. 'Garbis' means westerly or southerly wind in Greek. 'Pounento Garbis' is WSW wind. Zephyrus (Zephyros) is the Greek god of the West Wind, believed to live in a cave on Thrace. He is the son of Eos and Astraeus, the brother of Boreas, Eurus and Notus. He abducted the goddess Chloris and gave her dominion over flowers. In Roman myth, he is Favonius, the protector of flowers and plants. Any soft and gentle breeze nowadays is referred to as a zephyr. Theophrastus, a 4th century BC scholar who left us with a complete accounting of the winds of Greece, wrote: "Zephyros, the west wind, is the most gentle of all the winds and it blows in the afternoon and towards the land, and is cold". "Pounento" and "Ditikos" mean West in Greek. "Pounento Maistros" is WNW wind in Greek. Maistro is a NW 'beautiful weather wind', prevails in summer,like the Etesians, see below. The Meltemi (= Turkish word for Etesian) wind was known by the old Greek as the Etesian (etos = annual) northern winds. • The monsoonal effect during the summer leads to a low pressure trough over Turkey. Etesian winds flow from a high pressure ridge over the Balkans toward the trough. During a strong Etesian, the trough may extend relatively far to the west and beyond Rhodes. It may also form a closed low, resulting in almost calm winds at Rhodes. • A jet-effect wind increase caused by channelling of the wind between islands and mountain valleys. These effects tend to render wind reports from certain locations unrepresentative. In the lee of Crete, katabatic flow off the mountains generates gusty winds similar to the Foehn of the Alps. The mountain valleys tend to channel the flow which increases the wind velocity. Strong or gale force winds are frequent along the southern coast of Crete during the Etesian season in areas where they are channelled. At Souda Bay, Etesian winds are from the northwest quadrant. The northwest winds would likely reach the port area as west-northwesterly due to the higher terrain north and south of the bay, and the valley to the west. An occasional westerly gale may occur during the summer. The surface flow is generally divergent in an Etesian situation, and the weather is generally thought to be dry with clear skies. However, this is mostly true only during July and August. During this peak Etesian period, scattered altocumulus appear a day before an Etesian, and the only other clouds are orographic types that may form on the lee side of islands in stronger Etesians. During the early and late months of the Etesian season, thunderstorms frequently occur both ahead of and behind the front over the Balkans, often in northern Greece, and sometimes as far south as Athens. The thunderstorms frequently precede the Etesian by one day and generally continue for an additional 24 hours. When these Etesian winds do die out after sunset the Cretans have the saying: "This wind sleeps with his wife", meaning it was out all day but returns 'to the house' at night. Local authorities state that during the winter, an indicator of a storm approaching from the north is a cloud over the 1,969 ft/ 610 m high Mount Zourva Paupa, just south of Souda Bay. last night I couldn't sleep ..."
When we spent a few months in Loutro in 1976, we were humming these lines when the wind was in from southeast - later to learn that Joni Mitchell wrote this song remembering here Matala, south Crete, experiences on a trip to Europe.